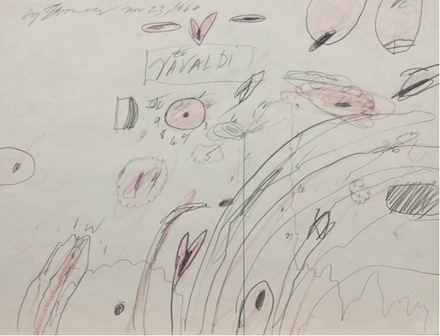 Cy Twombly, To Vivaldi (1960). All photos courtesy Eykyn Maclean and the Sonnabend Collection, New York © Cy Twombly Foundation. 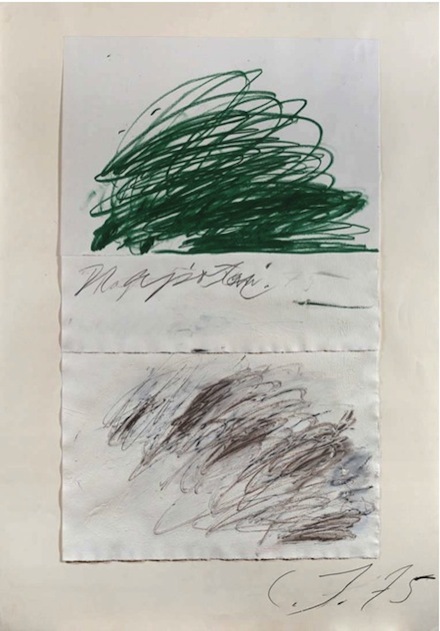 Nineteenth and twentieth century artworks gallery Eykyn Maclean is exhibiting Cy Twombly works from the Sonnabend Collection in its London space, and the works will move to New York City in April. The exhibition consists of eleven pieces from the collection of Ileana Sonnabend, who ran the Sonnabend Gallery for over thirty years, until her death in 2007. 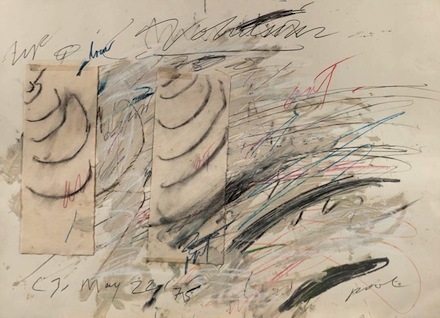 Ileana Sonnabend was an early supporter of Twombly, and shortly before his death in 2011, he said of her that “she had the eye.” Many of the works have not been seen in public before, and are part of Sonnabend’s son’s personal collection. 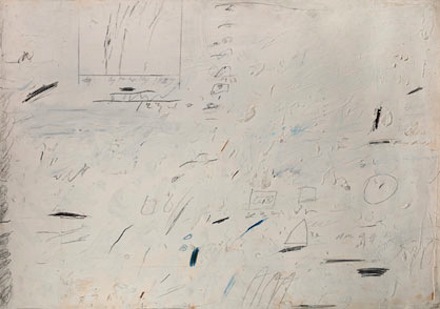 The works span several phases of Twombly’s career, beginning with various Twombly-scribbles on large, light canvases from the fifties. Each of the works, from the fifties through the sixties, presses the boundary between writing and painting, revealing the physicality in both. 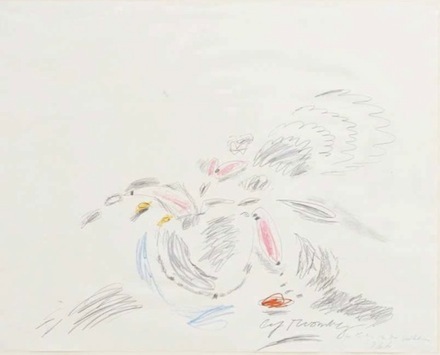 The early pieces also obscure the distinction between drawing and painting, and involve Twombly’s fascination with myth and culture, referencing figures like Galatea, for example. There are also the more well-known pinks, reds, and greys of his later work, taking us in to the sixties. 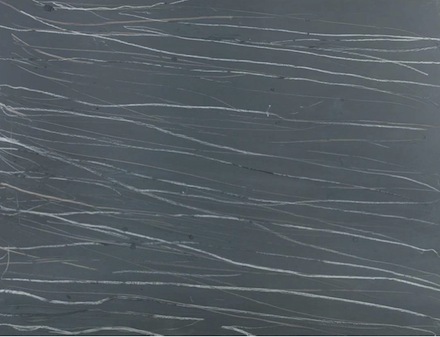 A gouache and wax crayon on paper piece from 1969 is part of Twombly’s grey series, in which his early scribbles and bold gestures are given over to monochrome restraint. Finally, there are a couple of works from the seventies—Untitled (1975) (above) and Napoli (1975) (below)—that take the viewer in another direction, returning to gestural movement, but this time involving bright colors. The exhibition is notable for its intimacy, but also for the glimpse of art history it provides. It can be seen in London until March 17th, and in New York City from the 6th of April until the 19th of May. 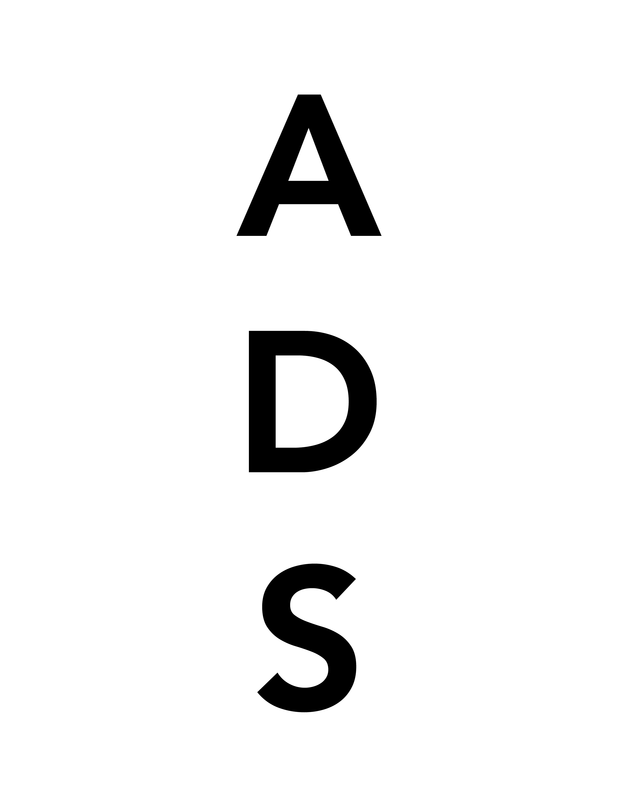 This entry was posted on Wednesday, March 14th, 2012 at 12:01 am	and is filed under Art News, Go See. You can follow any responses to this entry through the RSS 2.0 feed. You can leave a response, or trackback from your own site.